Today’s announcement by the Obama Administration of a “deferred action process” for young immigrants is a huge deal. It’s just a first step in fixing a horribly unjust and illogical immigration system, but it is a big one. First, what it is and what it isn’t, and then some preliminary thoughts on lessons to be learned from this victory and the politics of immigration in this election year (Preview: My prediction is that this is a very bad day for Marco Rubio). This is not a full-scale administrative implementation of the Dream Act, legislation with broad bipartisan support that has nonetheless never been able to overcome filibusters by a small minority of anti-immigrant Senators. Today’s actions will not put anyone on a path to citizenship. Only legislation can accomplish that. 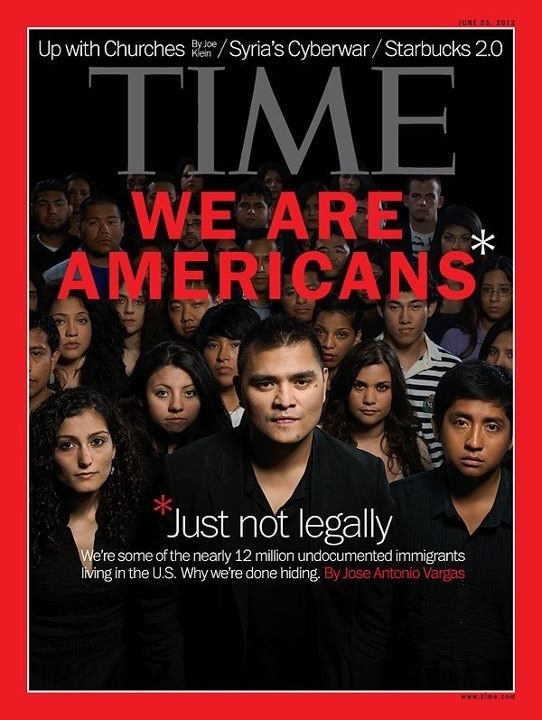 The Obama Administration’s announcement came just a day after this Time Magazine cover story on Dream Activists was released. This goes one important step further than the 2011 announcement that gave new guidance for prosecutorial discretion in deportation cases. Within sixty days, the Department of Homeland Security will establish a process for eligible persons to make affirmative requests for relief – meaning that people aren’t going to have to get “caught” by ICE in order to begin adjusting their status. This is an enormous step forward. When President Obama rode a tidal wave of Hope into office, too many institutional progressives like my union, SEIU, accepted the logic of an administration that was telling us, “first we’ll do healthcare – then we’ll get to labor law reform, immigration reform, etc.” Although I always thought it was overly ambitious, I look back now on plans we at SEIU had that assumed that all three would be passed in the first one hundred days of the administration and am not sure whether I should be stifling laughs or tears. On immigrant rights, an entire infrastructure was set up, funded largely by foundations, to move federal immigration reform. There were field offices, staff, phone banks set up – you name it. What was set up, however, was a massive lobbying operation – not a movement-building infrastructure to create political pressure to demand reform. While immigrant rights organizations in DC lobbied the administration, we all ultimately followed a path of keeping fairly quiet “until healthcare got done.” And when that debate blew up far beyond what anyone imagined after the Tea Party August of 2009, we never recovered. There was one exception to this rule – Dream Activists. They never let up on direct action as a tactic, staging sit-ins in the offices of Congress people, “coming out” as undocumented and unafraid, taking part of in “Trail of Dreams” walk from Florida to Washington DC to focus attention on their fight. I admit, that when young activists I cared about talked about “coming out,” I played the part of the concerned Dad wary of risk – “Ay, mijo, no hagas eso. Eso es peligroso.” Luckily I have no children of my own to face my shame directly, but to every Dreamer I must say: I’m sorry. You were right. I was wrong. You were bold. And you were right. In 2010, I took a leave of absence from my union to lead SEIU’s national immigration campaign. I took part in meetings with White House officials, leaders of other organizations at precisely the time that Jan Brewer’s Arizona brought immigration back to the forefront of the national consciousness. One thing I can tell you for certain – in all of the tables I saw, at least, young people – the Dream Activists—were not present. This was eventually remedied once more people realized what the Dreamers knew: their activism was working, our patience was not. While Dreamers were shushed by those of us who “knew better,” one thing is undeniable: In the past few years, youth activism has made the Dream Act the only piece of positive immigration legislation that has been voted on in DC in recent years. Their success, however, has not been limited to moving the administration in positive ways. While the Dream Act legislation has always had bipartisan support, this year the Dream Act has become a wedge issue in the Republican Party. Senator Marco Rubio of Florida, himself once opposed to the Dream Act in any form, has talked about introducing his own watered down version of the Dream Act – although he has yet to put pen to paper (and today’s announcement makes his Dream Act Lite superfluous (more on that later). While the Republican Party seems to have an insatiable appetite for feeding its increasingly radical base, there seems to be a very different tendency in the Democratic Party. When Democrats are in power, the tendency seems to be to govern in the way described above. We’re told to be patient, be quiet, and everything will come in time. And too many of us listen. What the Dreamers did through their confrontational style was to force their issue to be constantly on the front burner. Yes, they made people uncomfortable. But they understood that their role as activists was different than the role of a policymaker or a DC lobbyist. The activist creates the cultural space for change to happen. The policymaker follows, does not lead. In the first years of the Administration, the objection I and others had to moving the Dream Act independently of full, comprehensive reform stemmed from a belief that if we were going to have to take on an epic cultural battle, we might as well not settle on anything less than a path to citizenship for all immigrants living in the shadows. With opposition in the Republican Party to any amount of immigration reform being so vicious, I believed that a legislative victory would require an epic, cultural battle – one we have lost time and time again in recent years. So many immigrants come to this country with one thought on their mind: “I want my children’s lives to be better than mine.” Today’s announcement, while providing relief only to those children, it breathes renewed hope into the lives of their elders. I’ve been asked by reporters today if today’s announcement was “just political,” a charge already made by the Romney campaign. My first, cynical reaction is: So what if it is? This is what politics is about, why we have elections every four years. People make a case for change and eventually someone listens. Even if they’re only listening out of political expedience, if the change is good – who cares? The Administration would say that this is a logical next step to a process they have tried to follow to right the path of immigration enforcement priorities. Just as we don’t want our local police to prioritize the prosecution of children stealing gum from a corner store over apprehending and jailing murderers, we need an immigration system that targets real criminals, not law-abiding people earning a living – or in this case, children brought to this country who have led a productive life. While this is literally true, it is also inescapable that the announcement today will be read in the context of an election cycle where Latinos (who overwhelmingly support the Dream Act and Comprehensive Immigration Reform) will play a key role. While Chris Cillizza at the Washington Post seems to think today’s announcement boosts Senator Rubio’s chances of becoming Mitt Romney’s running mate, I’ll go out on a limb here and predict the opposite. Today the Administration effectively implemented Senator Rubio’s “Dream Act Lite” idea through administrative action. Remember, his “proposal” is really just an “idea” as he has not seen fit to actually write a bill. He has said the essential difference between the bipartisan-crafted Dream Act and his bill is that the young people covered would receive work visas but not a path to citizenship. Mr. Romney is in quite a bind. He needs Latinos, but he also has to placate the likes of vicious immigrant haters like Sheriff Joe Arpaio and Kris Kobach. As the anti-immigrant base starts to get its hackles up about Romney caving on immigration, I predict, Senator Rubio’s prospects will decline. Already, the GOP is having a tough time coming up with a consistent, coherent response to the announcement. In sum, as far as VP picks go, I say: Get in line, “Incredibly Boring White Guys,” your day has come!